As Super Stars Literacy continues to expand to serve more students and their families, we are always looking for more talented, dedicated instructional staff. We provide many volunteer opportunities for people to donate their time as tutors and program aides. For information on volunteer opportunities, please contact us. Board Committees: Use your existing professional skills or develop new ones by working alongside our Board of Directors and staff to lead and expand the SSL organization. Committees meet monthly and much of the work can be done according to your own schedule. Contact Evan Robinson, Development Manager. Classroom Tutors: Help out once a week during the after-school portion of our program by working directly with our K-2nd grade students and providing them with one-on-one or small group assistance. Classroom volunteers are required to complete LiveScan and TB clearance, and participate in pre-assignment training and orientation. Get started by filling out the Super Stars Literacy Volunteer Questionnaire and emailing it to Desiree Brown, Volunteer Coordinator. Program Event Volunteers: Work with our students and families by preparing for or staffing one of our family activities. Sample duties include preparing lunches for field trips, chaperoning students and families at a museum or other field trip site, or running an activity station at a Family Reading Night. Get starting by filling out the Special Events Volunteer Questionnaire and emailing it to Desiree Brown, Volunteer Coordinator. House Parties: Put your party planning skills to work by helping us plan one of our fundraising events, appreciation, or informational events throughout the year. Help with event operations, decorating, securing event sponsors, putting together exciting programs, designing invitations and print materials, and a variety of other tasks. Contact Evan Robinson, Development Manager. Corporate employee/Service group teams: Let us plan a rewarding team volunteer experience for your group. We can have groups of employees read with students during the after school hours or help out at a Family Reading Night. For more information, please contact Francesca Aspromonte, Grants Manager. AmeriCorps is a federally funded program that supports a wide range of local service programs by providing grants to a network of local and national organizations and agencies committed to using national service to address critical community needs in education, public safety, health, and the environment. Each of these organizations and agencies uses AmeriCorps funding to recruit, place, and supervise AmeriCorps members in intensive service positions where they learn valuable work skills, earn money for education, and develop an appreciation for citizenship. For more information on AmeriCorps and national service in America, go to www.nationalservice.gov. 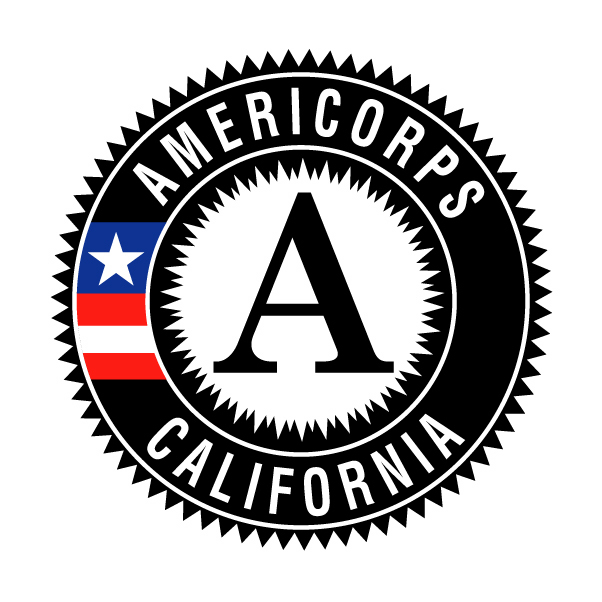 SSL AmeriCorps members, known as Group Leaders (GLs), are full-time AmeriCorps members who serve in Title I elementary schools throughout the East Bay Area. GLs provide one-on-one and small group intervention support during the school day and lead an after-school literacy intervention program of no more than 16 students. Super Stars Literacy Group Leaders serve in a cohort of 30 members all of whom are interested in education, committed to making a lasting impact in their communities, and are excited about working with elementary age students. Prior to starting in the classroom, members participate in an extensive, two-week orientation, and throughout the 11 month service term meet weekly with SSL staff for continued training, coaching, and mentoring. We are now accepting applications for our 2018 – 2019 AmeriCorps program. Members will serve from the beginning of August to the end of June. Applicants will be invited for a short phone screen before interviewing. Those selected to interview will be asked to come to the Super Stars Literacy office in Oakland or participate in a Google Hangouts interview. Interviews will be scheduled approximately 2 weeks after the application is received. Offers will be made on a rolling basis. Applications are available online. Position Duration: All members will serve full-time from August 18 to June 30, 2019 and must serve a total of 1700 hours during that time. Member Benefits: All members receive a monthly living allowance of $1900 before taxes and deductions. In addition, members may be eligible for health coverage and loan forbearance while in service. Members who complete a full term of service will receive a Segal AmeriCorps Education Award for $5,800, which can be used to pay back loans or for future educational expenses. Eligibility Requirements: All members must pass criminal history check, including FBI, DOJ, and NSOPW searches, as well as supply proof of tuberculosis clearance, a high school diploma or equivalent, and a minimum of 48 college credits. In addition, applicants must be able to supply a proof of citizenship or legal resident alien status.